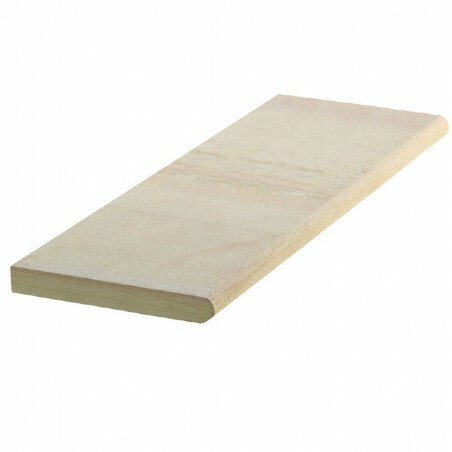 Our buff sawn and sandblasted steps are available in either 5, 10 or 15 unit packs. 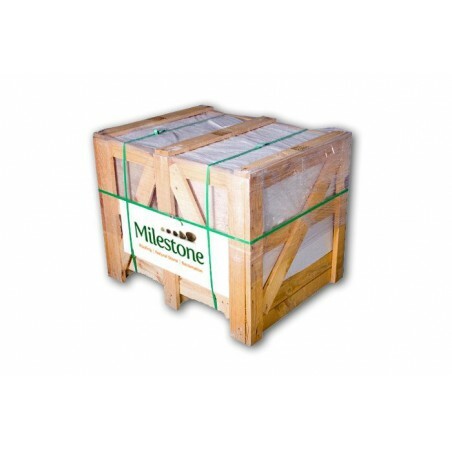 These items can be delivered to various locations throughout the UK. 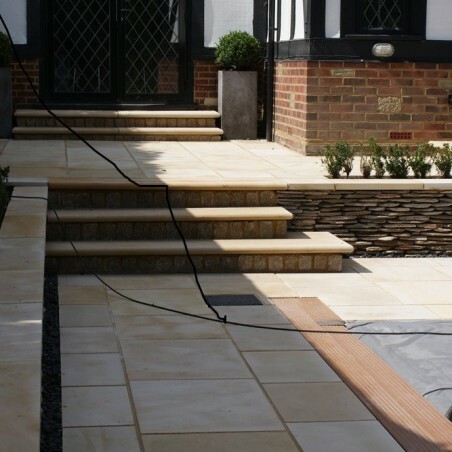 Here at Milestone, we only source the best quality paving products for our customers – and these buff sawn and sandblasted steps are the perfect example of the quality items available from our range. 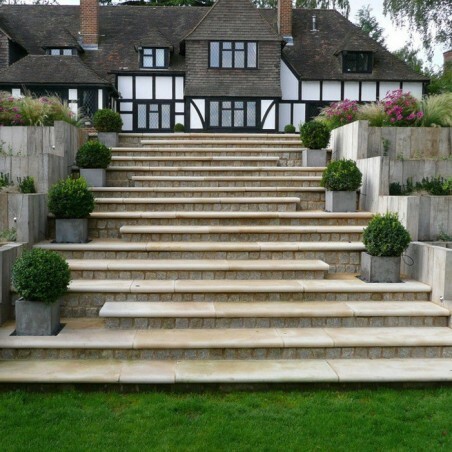 These buff sandstone steps have been sawn on all sides and sandblasted on the top surface to create a smooth, sleek exterior. 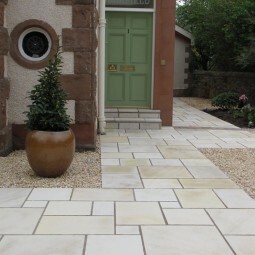 Distinctively light in colour, buff sawn and sandblasted steps deliver a stunningly sharp and contemporary look that also boasts warmth and depth thanks to the earthy variations in colour that thread through each slab. You an use buff sawn steps sparingly in your outdoor space to create a striking stairway or focal piece, or combine these items with others within our sandstone range for a more consistent look.